I am not one for beach holidays: I like sun but I just get bored sunbathing. For me, the perfect holiday is sightseeing. This is why I stay in the UK. There is so much of the country I have yet to discover and who doesn’t like having a break for a couple of days here and there? The main issue I have with day trips or overnight stays is packing. You don’t want to take too much as most hotels don’t offer a ‘leave your bag’ system so you have to carry around all of your stuff. Some train stations have a left luggage bay but they cost £10 at least. This is why you need to take the bare essentials. I’ve become somewhat of an expert in packing in recent months. By expert, I mean expert for myself. You might find that other items are essential for you but I have gotten my routine of what I need to pack for short trips down to a tee. All you need is a change of top and fresh underwear. Jeans or cotton trousers are comfy enough to travel in for a couple of hours and make sure you wear comfy shoes. If you know you’ll be going out on the night, take a dress that won’t crease or a dressy top and a pair of pumps. Neither of these will take up much space unlike heels. 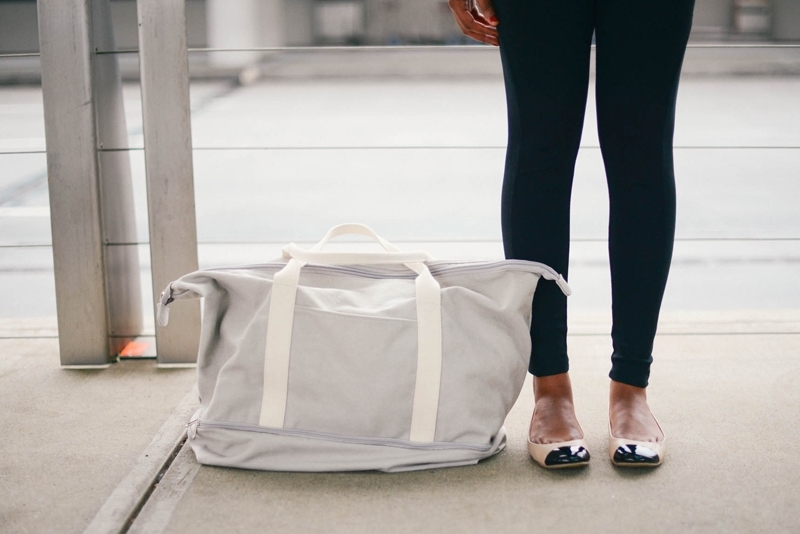 You want to keep your bag as light as possible so clothing is the easiest way to minimise weight. This is the area that will probably weigh the most. With summer coming up, you’ll find miniature-sized toiletries in all of the stores as well as my favourites, the refillable ones! When I’m away for just one night, I use a less-extravagant skin routine: make-up wipes, moisturiser and shower gel. I don’t need to wash my hair every day (I wash it the night before a trip) but if you’ve been walking around all day, you’ll probably need a shower. Many hotels do provide you with certain items (check before travelling) but I like to take a tiny bottle of my own (I have eczema and react with many products!). And I know it is a cardinal sin to use make-up wipes but for one night, it is a risk I am willing to take! Also don’t forget your toothpaste and toothbrush! Oh and use hand sanitiser! Pare down your make-up bag for definite. If you’re going to be outdoors a lot, take SPF or at least use make-up with it in. Foundations can be the bulkiest make-up item so why not go without? If not, try to take a plastic bottle one as they tend to take up less room. Ditch those bulky palettes and just take single-colour pots of eyeshadow and lip colours. Many make-up companies have travel-sized products and now is the time to use them up. All those freebies from magazines and gift sets finally have a time to shine! This is ultimately down to the individual. Most of us will take a phone, charger, purse/wallet, something to read and snacks/drinks but everything else is what you find is important. For me, I always have my diary on me, a good book or magazine, glasses + sunglasses and my iPod + headphones. I’m sure that I will have left something off my list as I always do but I think I have the bulk of the items I take listed here.What are your essentials for overnight stays? Leave me a comment below!